Diamond Systems is an experienced partner for medical companies worldwide. 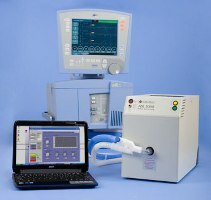 Our single board computers and I/O modules are integrated into many leading-edge medical devices and medical test equipment, empowering our customers to develop reliable medical solutions. The small size and high reliability of our products make them ideal for use within both fixed and portable medical equipment, as well as the testing and maintenance of medical devices. A US medical instrument company offers a complete line of lung simulation products developed for specialized applications in research, development, training, testing and sales. Its breathing simulator is the world’s most sophisticated breathing simulator, and the only high fidelity neonatal breathing simulator. It can craft a wide variety of real life respiratory scenarios ranging from neonatal to adult patients. A unique feature of the simulator is its ability to breathe spontaneously while being ventilated. This allows it to meet the full spectrum of breathing simulation challenges, including coughs, apnea, active exhalation, playback of actual patient recordings, and even snoring. A US-based biosystems company delivers innovative solutions for today’s liquid process challenges. Its series of automated reactor sampling systems is a family of on-line bioreactor auto-samplers that can sample from up to eight reactors and deliver to up to four analytical instruments. The systems are specifically designed for companies looking to be aligned with the FDA’s Process Analytical Technology Initiative. The system is ideal for reducing product development cycles, maximizing R&D and production results, and tracking overall product quality. It permits scheduled sampling of up to eight bioreactors 24 hours a day, 7 days a week and eliminates labor intensive, manual sampling processes. A US medical device company utilizes Diamond's embedded products in its catheter and stent testing systems. The system is designed to quantify the performance of catheters and stent delivery systems by using a precision drive mechanism to insert the catheter into a network of flexible tubing.